With the deluge of long weekends firmly in the past, most of us have probably spent the week coming to terms with the reality of working 5 consecutive days again. So we thought we’d lighten the mood by talking about something everyone loves – freebies. This week is all about innovative ways to give out interesting, handy, or just downright awesome stuff. Enjoy. Beautiful sunshine, scorching hot temperatures, ice cold beer? Budweiser have got it covered. 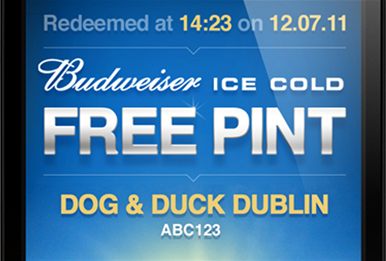 They’ve developed an app which gives out vouchers for a free pint of beer at your nearest participating venue as soon as the temperature hits 20oC or more. This is a great use of geolocation technology for instant gratification. 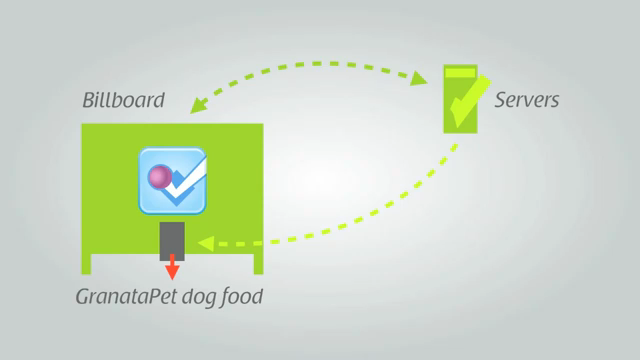 Dog walkers who checked in to foursquare at an interactive billboard were rewarded on the spot with a free bowl of dog food for their furry friends. With the core of their product at the heart of this installation, Tropicana show us why oranges have far more uses beyond a glass of juice at breakfast. To all the Pringles-loving-yet-environmentally-conscious folks out there, finally the eternal dilemma has been resolved. 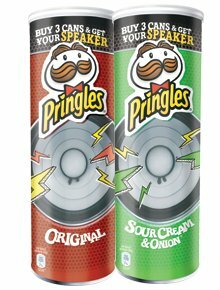 Pringles are giving away a free mini speaker, which fits neatly into the top of your empty can, so no more bin fodder. (article is from the US, but here’s the link to the UK campaign). The Happiness Factory strikes again, this time in Colombian traffic jams, with the launch of Coke Minis. Going beyond the simple sampling mechanic to get the product into the hands of consumers, they turned it into a full on cinema experience – complete with big screen, corresponding radio channel (to tune into whilst you’re in the car) as well as models handing out hot dogs, nachos and other snacks, all for free. Suddenly traffic jams aren’t so bad. What if Sky was a toy? ~ by skysfridayblog on May 13, 2011. This entry was posted on May 13, 2011 at 3:04 pm and is filed under Freebies, Sampling, Technology.You can follow any responses to this entry through the RSS 2.0 feed.You can leave a response, or trackback from your own site.